Home/Resources/Filmmaking/On our Radar: Nikon Steals CES 2018, Wacky Ikea Ads, and more! Åketsam Holst has done it again. Ikea’s agency on record has produced some of the most iconic ads for the brand, including the touching “Enough,” and this delightful but seemingly pointless “Where Life Happens” ad. This time their creative team is targeting one of the most lucrative, overlooked demographics in the home furnishing market: expecting mothers. Their new print ad, placed in Swedish lifestyle magazine, Amelia, asks women to pee on an ad—really. A strip toward the bottom of the ad is chem-coated to reveal a discount code for women who are pregnant. The ingenious plan comes on the heels of a big product roll-out for 2018 including this Solgul line of baby furniture. Smoking is on the decline among US teens. In Ireland, there are more quitters than smokers, and one ad might be to thank. This ad from the HSE is just one part of a national multimedia campaign to end tobacco’s grip in Ireland. In a poignant use of Gloria Gaynor’s hit, “I Will Survive,” quitters sing along as they put out their cigarettes and go on to live healthy lives. The ad was a hit. So much so that the HSE had agencies phoning them from London, France, and even New York to ask if they could use the video for their campaigns. HSE has since collaborated with teams at international agencies to create genuine, hard-hitting campaigns to encourage quitting across the globe. And as for New York, The New York State Department of Health’s Bureau of Tobacco Control will be running the ad statewide this month. 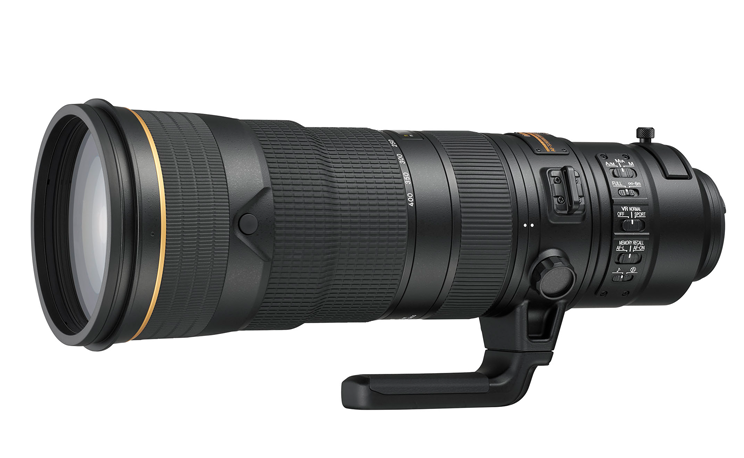 the electronics giant announced their new AF-S NIKKOR 180-400mm f/4E TC1.4 FL ED VR lens. If that sounds like a mouthful, it’s because their latest product packs a punch. The NIKKOR is a telescopic lens that protects against dust, moisture, and fall damage; it has a built-in teleconverter and stabilizer to keep shots looking beautiful. Unfortunately, the lens doesn’t come cheap. The new NIKKOR lens is $12,400 and is compatible with bodies like the D5, D500, and D850. For those looking for an in-depth review of both this lens and the Nikon showcase for CES 2018, check out the VOD of their livestream here.